I know I’m going to catch a lot of flak for this, but Matt Magill should be the Dodgers’ No. 5 starter to begin the season.I’ll wait for you to stop laughing… still waiting. OK. Hear me out. The Dodgers have yet to sign another starting pitcher this winter. General Manager Ned Colletti has said a few times he’s looking at starters since Masahiro Tanaka signed with the Yankees. The name that comes up most is Bronson Arroyo, but that’s merely a Morosi rumor at the moment. A.J. Burnett would be great, but don’t bet the farm on that happening. Ubaldo Jimenez and Ervin Santana aren’t happening because of draft pick compensation. Internally, the Dodgers have Josh Beckett, Stephen Fife and Zach Lee all ready to begin the 2014 season in the rotation, but all three have question marks. Beckett had surgery this offseason and there’s no telling how effective he’ll be this season. Fife had a nice stretch last season, but his lack of pure talent and stuff caught up to him. Lee has never thrown a pitch at a level higher than Double-A, which may or may not be a negative. But he’s just 22 years old. So, why Magill? I mean, he walked 28 batters in 27 2/3 innings, and struck out 26. That’s extremely unimpressive. Let’s break it down. The Dodgers don’t especially need a No. 5 starter much in April. In fact, if the stars align, they won’t need a fifth starter until April 19, and would need two starts from the No. 5 just two times in the month. Beckett is used to pitching every fifth day. This means he’d make some appearances out of the bullpen, something he’s done just three times in his career. The solution for Beckett is a disabled list stint, giving him an extra month to get as close to 100 percent as possible. Fife seems better suited for starting, and his pitching coach said as much last season. Lee is largely untested, and Jason Parks of Baseball Prospectus said, “I think Lee would thrive in a rotation. I don’t think Lee is a guy you take out of the rotation.” I’ve never fancied Lee as a reliever. So, not only would the “No. 5” starter not start a lot, he’d, in theory, make a majority of his appearances (not innings, most likely) out of the bullpen. Of the quartet, Magill’s stuff plays best out of the bullpen. Beckett takes a day-and-a-half to throw a pitch, Fife doesn’t have the power profile and Lee’s mentality is best-suited for starting. Magill’s future could be as a reliever. 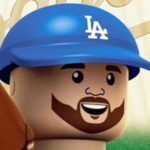 Also, if the Dodgers keep Lee in the minors until June, they can milk an extra year of arbitration out of him, as he wouldn’t qualify for “Super 2” status. Some are probably wondering (and by some, I mean four or five), “What about Seth Rosin?” Good question. Rosin was a Rule 5 Draft pick of the Mets, which traded him to the Dodgers. Rosin must be on the active roster come opening day (be it on the 25-man or on the disabled list). If not, he’d have to go through waivers, then be offered back to the Phillies before he could go to the Albuquerque. Rosin has obviously caught the front office’s eye, and he could be a guy to watch this spring. But he seems more like a 1- or 2-inning reliever to me, rather than a true long reliever. That’s also what Jamey Wright is these days. Sure, you could both of those guys team up and hope for five innings total out of them a couple times in April, but that also burns them for at least the next game, maybe two (depending on off-days). With Magill, who has started 102 games in the minors, he would be able to go five- or six innings in a spot start (provided they were quality innings). None of these four guys has the ability to go from reliever, to spot starter, back to reliever, back to spot starer better than Magill does. His stuff plays much better in that role, as he could sit in the low-90s in a start or even tick up a couple MPH in a 1-inning relief role. Of course, this is all predicated on Magill having a strong spring training — something he did in 2013 (4 IP, 3 H, 1 R, 1 BB, 8 K). As long as he’s able to repeat his delivery and keep his mechanics in tact, he could be a valuable guy for the Dodgers in April. That’s a big “if,” though. If only Chad Billingsley had Tommy John surgery when he was supposed to, this wouldn’t even be an issue. Then again, the Dodgers might not have signed Dan Haren, either. Or maybe they would have. Who knows. It’s not the most popular opinion and I’d be shocked if the Dodgers actually did it, but it’s something to ponder as Spring Training approaches. Previous Yasiel Puig, Leadoff Hitter? Next Hyun Jin Ryu’s Impending Sophomore Slump?